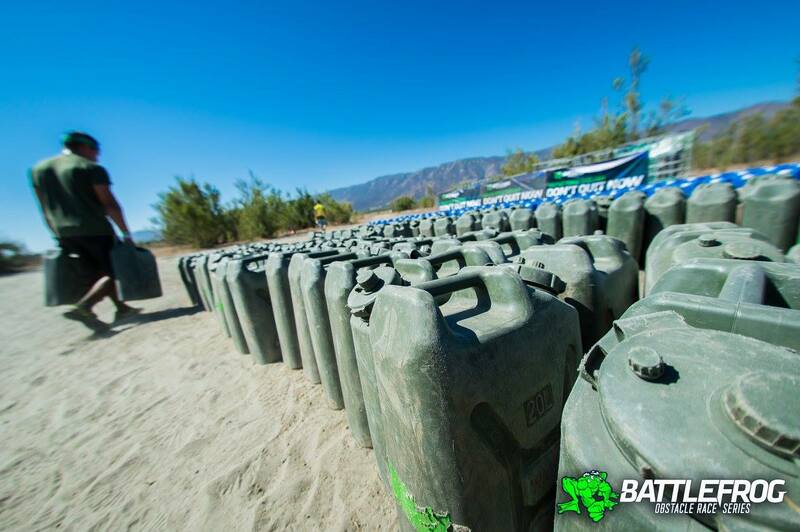 This weekend, Riverside California hosted BattleFrog’s regional championship race. Three of King’s Camps Pro Team (myself, Julie Werne, and Rebecca Morr) ran the elite heat. Unlike the open heats, the elite heat offers competitive racers an opportunity to earn points in an events overall standing, as well earn prize money if they podium (place first, second, or third). 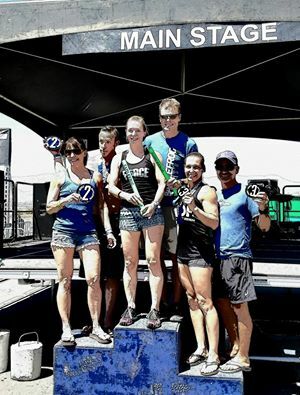 This particular race had a smattering of well-known racers from around the country in its lead corral foreshadowing just what a competitive race this would be. The weather was warm, a balmy 74°, even at 7:15 am before the race began. Nerves were higher than in other races, but still many racers could be found catching up, chatting, and possibly trying to psych out fellow competitors as they warmed up. As the first wave announcement was made and racers made our way into the corral, Coach Pain wasted little time delivering his signature motivational and tear jerking speech to motivate the (hopefully already motivated) elite group. He quickly got to the point—the start of the race–with a loud GOOOO! And with that, the racers were shaken from their corral and sent though the starting line, across the road and down a short but steep drop off on their way to nearly 12 miles of racing. The course was flat, maybe even flatter than flat. 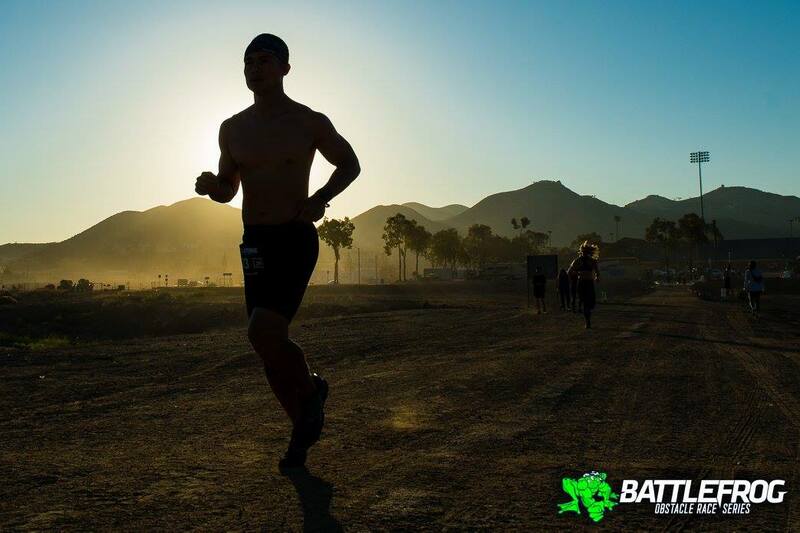 That being said, Battlefrog as usual took full advantage of the terrain available, running racers through uneven surfaces and sand packed fire roads. Amazingly, the sand didn’t slow racers down. 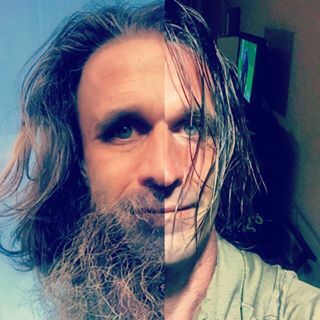 However; it did sap energy faster than hardpacked ground would have. For many racers, they recognized this fact too late in the race. 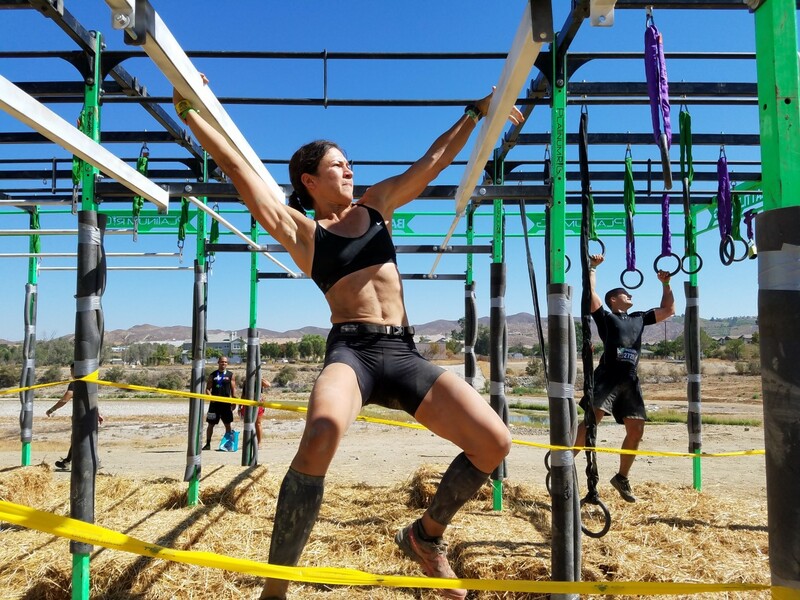 What the course lacked in elevation gain and rolling hills, the course designers found by introducing a new obstacle named Snake Eater into the mix. Snake Eater brought participants up and down side of the levy holding back the waters of Lake Elsinore. This climbing proved not only to be a physical challenge, but a mental one as well. The competition ahead and behind was clearly visible as were their strength, fatigue, climbing speed or weakness for that matter. Also present at this race were several mud based obstacles such as Walled In, Mud Mounds, and Normandy Jacks. Unlike races with extremely cold weather, these water obstacles were actually welcome sources of relief from the rapidly rising temperatures. As expected there was a long drawn out Wreck Bag and Jerry Can carry, as well as two Platinum Rigs designed to take bands from even the most talented elite racers. All in all, Riverside saw the likes of some spectacular performances from well-seasoned veterans and newbies alike. 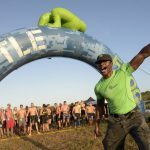 The points are adding up as the BattleFrog Championships are nearing and it is likely many of those seen on the course this weekend will be in attendance to defend or reclaim victory. All in all, this was a flat, tough race. It claimed the bands of many elite racers and challenged the racers in the open heats like no other. 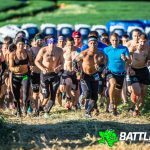 Still, the awesome course design, the encouragement of Battlefrog staff, and the inspiring speeches of Coach Pain gave good support for making Battlefrog Series one of the best OCR races in the country. Hooyah!